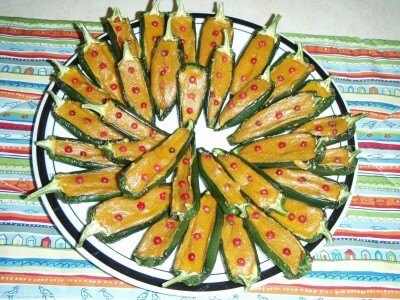 Jalapeno poppers - Raw Juicy Living - Recipes and Workshops for Parksville, B.C. Stuff peppers with the filling and dehydrate for 12 to 24 hours, depending on size of peppers and how dry you want them. if desired, decorate with pink peppercorns before dehydrating.